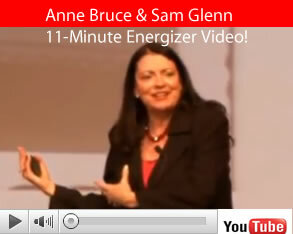 Anne Bruce’s Popular 30-Seconds At the Beach Weekly Video Series & More… Along with her on-stage video & energizers, Anne has a popular series of weekly videos called 30-Seconds at the Beach. Living in Southern California at well-known Channel Islands Beach provides Anne with the perfect backdrop for sharing fun, interesting, timely, & creative messages for her audiences worldwide. In her videos, Anne shares popular insights from many of her bestselling books, like Discover True North: A 4-Week Approach to Ignite Your Passion and Activate Your Potential, Speak For A Living and Be Your Own Mentor. She offers relevant views on relationships, workplace topics, inspiration, and ways to navigate life’s challenges and ultimate opportunities. 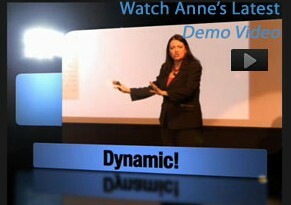 Click videos below to take a break at the beach with Anne. 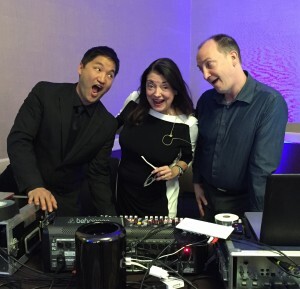 Anne Bruce is a highly specialized talent manager for speakers and authors. View Anne on stage here.